Successfully Added Car CD + Stereo Player - MPEG-4/DIVX Player to your Shopping Cart. 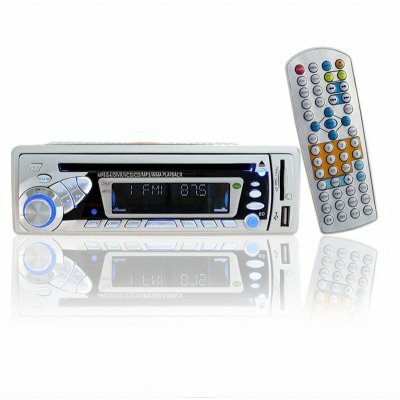 Car CD Player plus stereo system for not only playing music from CDs and radio, but with a SD/MMC card reader and USB port for playing DivX and MPEG-4 video files. With the AV OUT, all you need to do is set up and LCD screen in your car and the media will directly be sent there as well as to your sound system. This car media center also features 45Wx4 sound output, subwoofer out, an AUX IN, and a detachable front panel for security. A great buy for any car, direct from China..